Brand New Pro Style Fixed Dumbbells and Barbells. Super low price. Priced at a ridiculously low $2.49 per KG, Originally $6.50 per KG! See below for pieces available as at June 15th 2017. Be quick before they’re all gone! 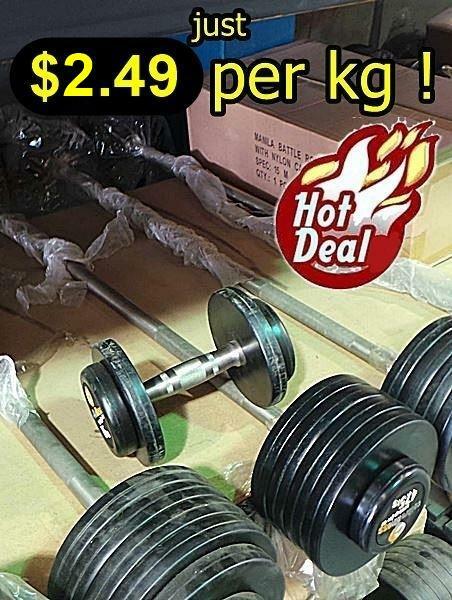 Buy Brand New Pro Style Dumbbells and Barbells Bargain Offer! online. If you are interested in the Brand New Pro Style Dumbbells and Barbells Bargain Offer! for sale, feel free to enquire above.